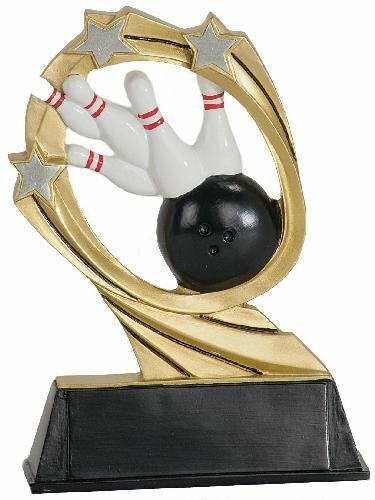 This full color resin features a gold circle with silver shooting stars orbiting a baseball diamond, baseball and bat. 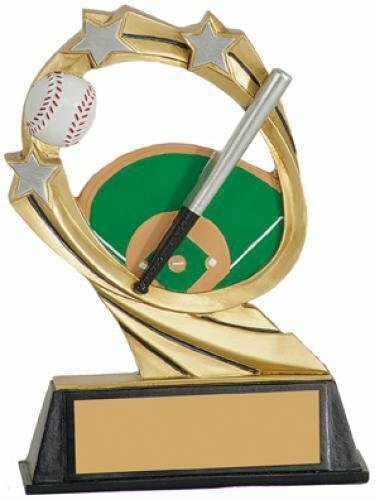 Three dimensional and modern, just add a plate for a baseball award thats out of this world. This full color resin features an oval swirl of silver and gold shooting stars orbiting a backboard, hoop and basketball giving this piece a sense of motion. 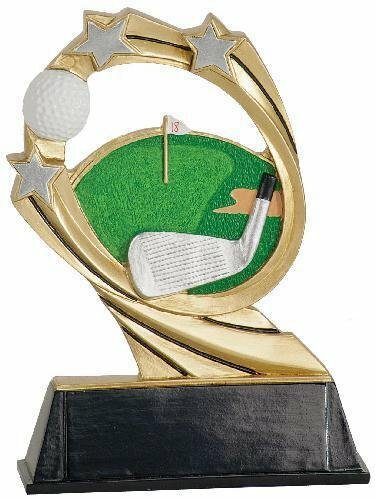 Add a personalized plate for your event for a modern, budget friendly award that is out of this world. This full color resin features an oval swirl of silver and gold shooting stars orbiting a bowling ball and pins giving this piece a sense of motion. 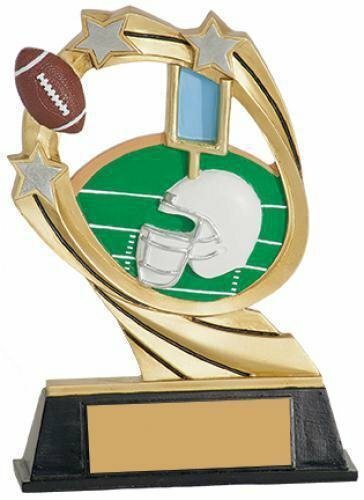 Add a personalized plate for your event for a modern, budget friendly award that is out of this world. This full color resin features an oval swirl of silver and gold shooting stars orbiting a gold wreath that frames a blank area for the insert of your choice, giving this piece a sense of motion. 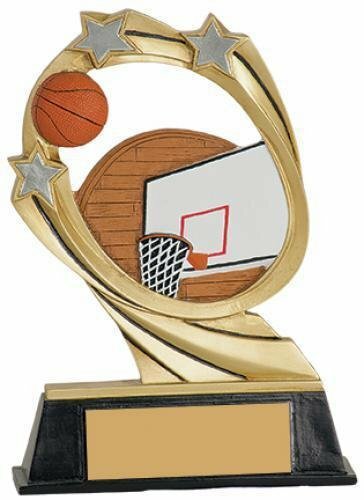 Add a personalized plate for your event for a modern, budget friendly award that is out of this world. This full color resin features an oval swirl of silver and gold shooting stars orbiting a hockey rink, skate and hockey stick giving this piece a sense of motion. 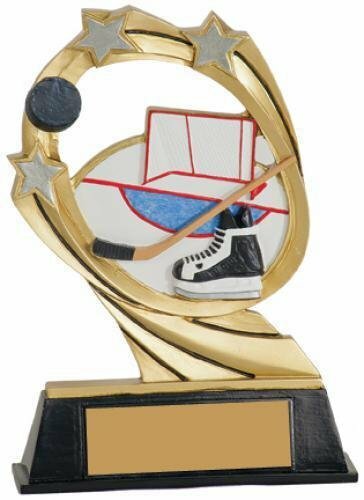 Add a personalized plate for your event for a modern, budget friendly hockey award that is out of this world. 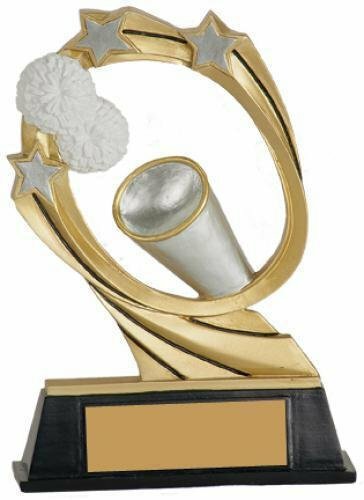 A swirl of gold and silver shooting stars orbits the lamp of knowledge lending a sense of motion to this award. 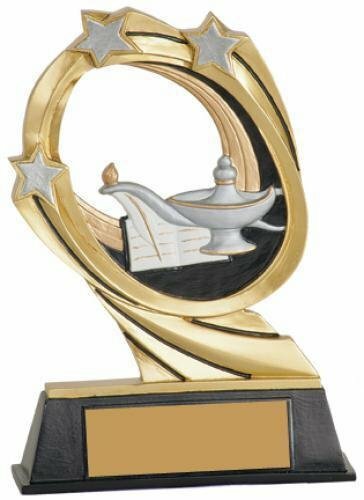 Three dimensional and modern, just add a plate to personalize for an out of this world award for rising stars in academics. 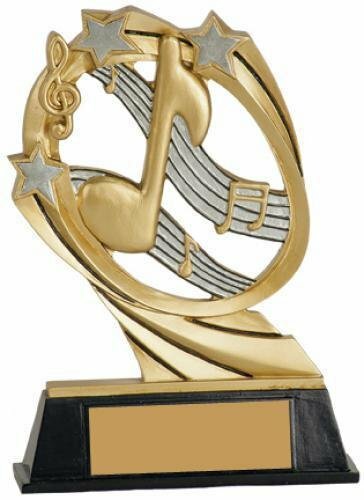 A swirl of gold and silver shooting stars orbits a music staff, clef and notes, lending a sense of motion to this award. 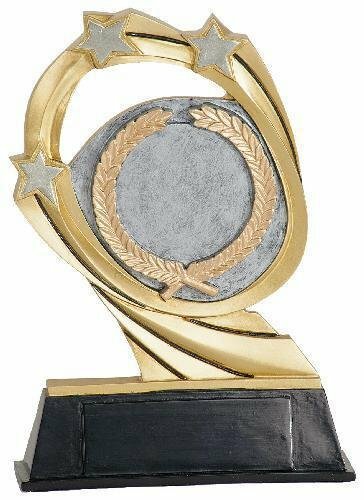 Three dimensional and modern, just add a plate to personalize for an out of this world award for your music rising stars.